playground, where good players can soar above the competition – both in terms of score and verticality. 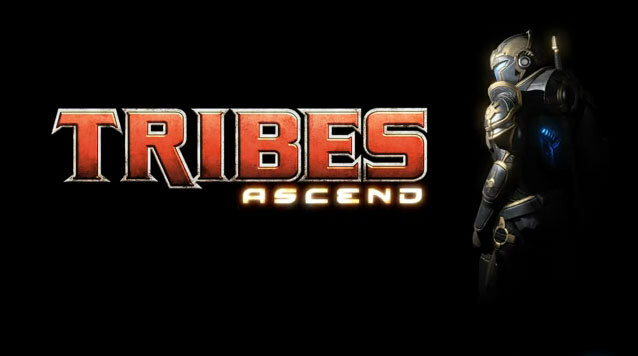 Tribes feels like a breath of fresh air for the shooter genre, and is quite possibly the best free-to-play game to date. 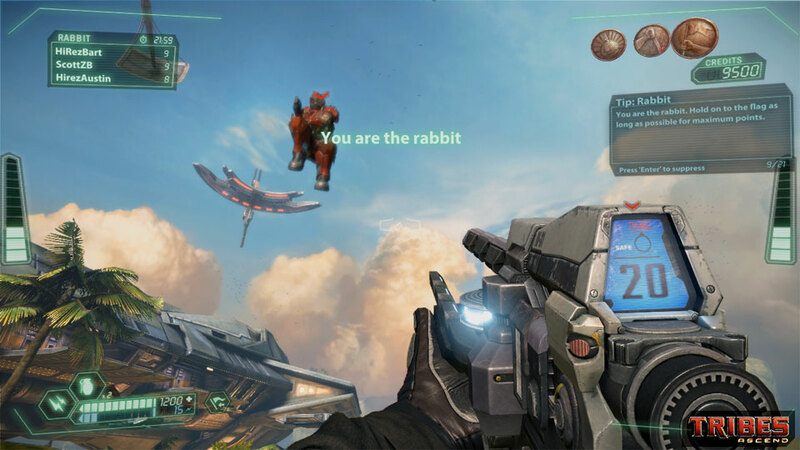 After a multi-year hiatus, Tribes: Ascend revives the beloved multiplayer franchise for a new generation. It's still a first-person shooter, and still features classic modes for up to 32 players like deathmatch, capture the flag (CTF), control point, and smaller, five-versus-five arena battles. 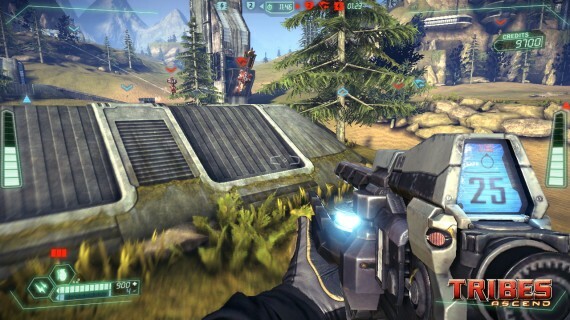 But most importantly Tribes: Ascend has kept the same sprawling landscapes full of hills and cliffs. Admittedly, things can look a little barren at times (a random tree or crumbling ruin occasionally dots the surface), but it's on purpose. One of the most important parts of the Tribes experience boils down to the long-standing movement system, and Ascend integrates it masterfully. You can run through a level in Tribes: Ascend, but unless you're indoors and / or defending a stationary object, you'll be missing out on the game's unconventional method for getting around. 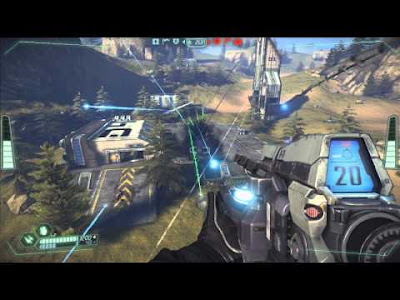 Tribes enables players to move faster than any other shooter, letting them "ski" on downslopes and operate a limited-power jetpack on the uphill. Once you get the hang of it you can soar through the levels, gaining massive amounts of air and speed. It requires a lot of finesse to hit a hill at just the right angle, but finding a route that takes you precisely into the path of a fleeing enemy or their flag makes Tribes much more rewarding. Of course moving and aiming at speeds that make Call of Duty or Quake look slow requires a more thoughtful and measured approach to shooting. Typically, shooters task you with aiming your cursor at the enemy and squeezing off a few rounds, but in Tribes it's about anticipating and obfuscation. Projectiles are powerful but often move slow or have a delay before they detonate. This means you'll have to aim ahead of your opponent, trying to predict what route they're going to take. Similarly, you have to try balancing your own pathing so it uses the environment to build speed while also changing up enough to make you a hard target. Firefights between two or more opponents thus turn into a dance of sorts, wherein everyone soars through the air, trying to fire that one artfully aimed kill shot. Kills occur much less frequently in Tribes than other shooters, so earning them is vastly more gratifying. As a class-based game, Tribes' many modes are all fun, but CTF is the highlight by far. Like countless other shooters Tribes places two teams at opposite sides of the map, tasking you with defending your flag while also grabbing the enemy's. Here the assortment of classes shine, with heavily-armored and slower units making great defenders, while engineers repair your turrets and place defenses to bolster the area around the flag. Likewise scouts and soldiers can duke it out in the battlefield, or work the environment so they can make for an insanely high-speed flag grab. Even stealth-based classes work well. They can infiltrate the enemy fortress and sabotage emplacements or assassinate a cowering flag holder. All of these classes are usable in the other modes, but some are blatantly more useful in one context over others. After all, why would you want to use an engineer in death match when you can use a grenade-wielding soldier? A person coming into Tribes without spending a dime has access to three classes, and either unlocks the rest with earned experience or by throwing down some cash. New players can compete using only the default classes, though for about $30 you can afford every other class immediately and have money to spare. Alternate weapons and secondary items like grenades can also be earned, but it takes quite a long time so if you like Tribes it's definitely worth dropping a bit of cash. Spending money is especially valuable because the first time you do, no matter the amount, your account becomes VIP for life, earning you extra experience for every match. Prices for items and classes feel really fair, too; it never feels like developer Hi-Rez is trying to nickel and dime you for a weapon, item or class that gives you a distinct advantage. In short, it's free-to-play done right. The menus look a bit generic, which is odd juxtaposed with Tribes' generally beautiful visuals. Created in Unreal Engine 3 (the same thing powering games like Gears of War and BioShock: Infinite), Tribes is unsurprisingly gorgeous, with striking explosions and fantastic-looking vistas. As you're soaring through the air it's nice to look around and see the beauty of your surroundings even as it teems with battle. Tribes does a good job of rewarding performance during a match, but some of the purchasable items sorely need a rework. Every action benefiting the team generally nets you match points, allowing you to buy artillery strikes, upgrade parts of your base and call in vehicles. The strikes work well, balancing out their extreme power with a slow, concentrated area of fire and high cost. Likewise upgrading your base often ensures victory, and gives defensive players a way to be especially useful. Turrets start out fairly weak, but if the team upgrades them they can often take out would-be flag stealers on their own. The vehicles underwhelm, though. Not only are they expensive, but you're more agile on your feet. You're a liability to yourself on wheels and an easy target for foot soldiers thanks to the cumbersome driving controls. Even with its relatively minor flaws, anyone with even a cursory interest in Ascend should play it. No other shooter conveys the same sense of speed – or the rush of pleasure that comes from nailing someone at over 100 KPH – as Tribes. With no barrier to entry outside of the time it takes to download and give it a try, there’s pretty much no good reason to not check out Tribes.